A few of the things I love is recycling pretty packaging. Every time I get a gift or buy something I take a close look at the package and see if I can make something nice out of it. Good thing I have enough space to store all the interesting items , the only thing I need now is time , lots of time , but think that is a common problem we crafters have. Anyway I got some scented sticks ( love those too) and the came in this tube . We had a anniversary and double birthday party coming from friends , the asked money so they could buy something nice that was very expensive. I think just giving money is boring , so wanted to make a nice package to put it into and I had this tube lying around so cut half of it and made this out of it. on the top lid I glued a lot of flowers . Under the lid I glued a satin ribbon that you can pull to take the lid of and it’s also a handle to hold the gift. and a little birthday card to go with it and voila, gift tube is done. For this project I used the Celebration Collection , what better papers are there to use for this gift tube than the celebration Collection right? 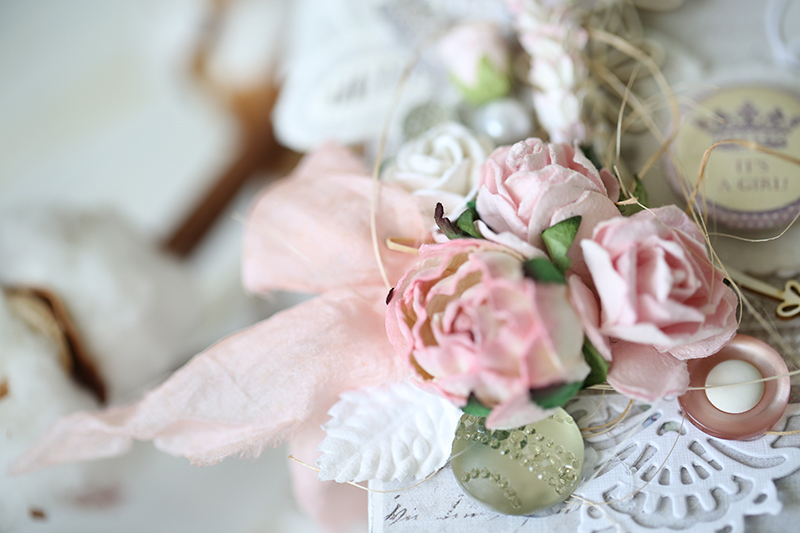 Flowers are from Wild orchidcrafts , pearls and ribbon from my private stash. I hope you like my project for this week and hope I gave you some inspiration for recycling those tubes. I have more tubes lying around so will be back with another one soon. Hello our blog friends. Today I would like to present something a little bit different. It is a first chocolate box decorated by me. It’s gonna be a perfect way to say “Thank you” with the sweet surprise inside. Simple and easy composition, cause “Thank you” is the main element here. When you open the box on the left you will find the chocolate. On the right you can write some wishes, words just from the bottom of your heart. Simple ideas are often the best. 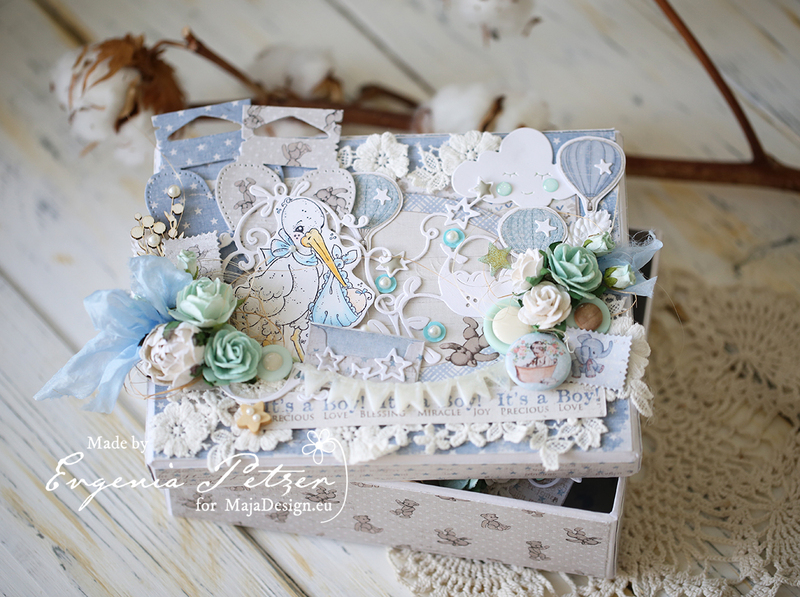 Paper base is the box from Eco-Scrapbooking and chipboard from Scrapiniec. 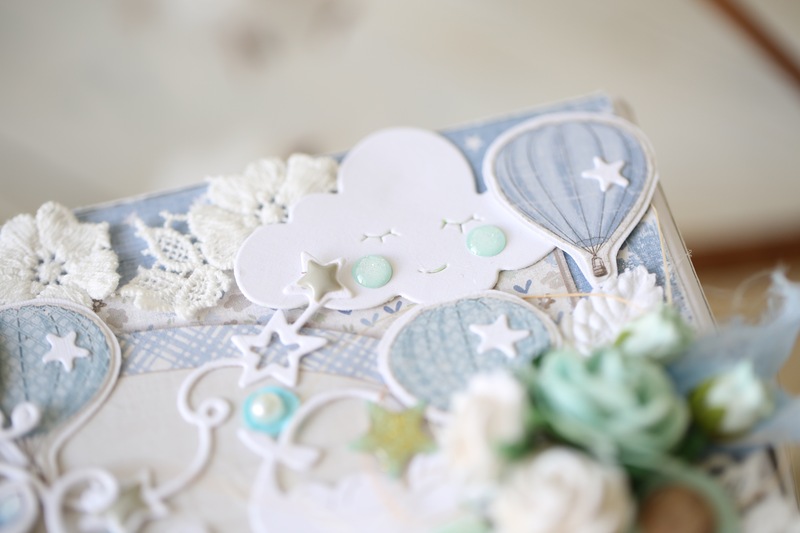 Paper – Summertime Collection from Maja Design of course. My favourite mix of the best products. Hello dear Maja friends! 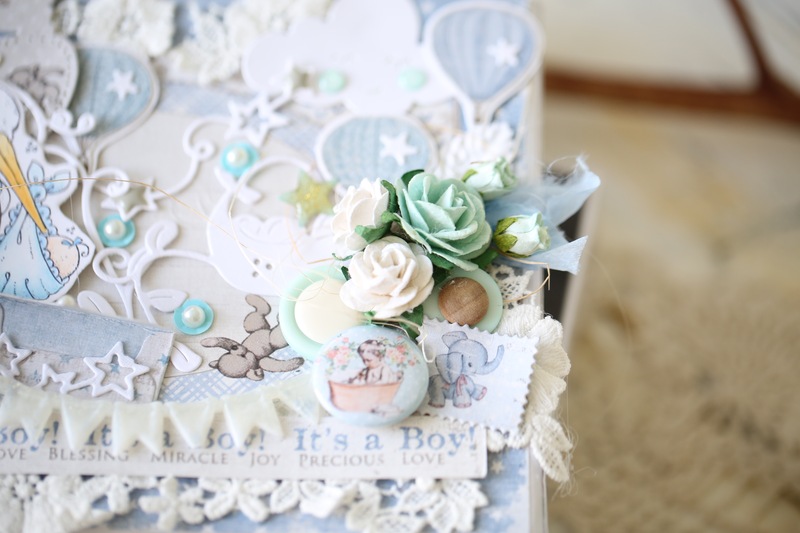 Evgenia Petzer with you today and I am sharing with you a baby girl box. 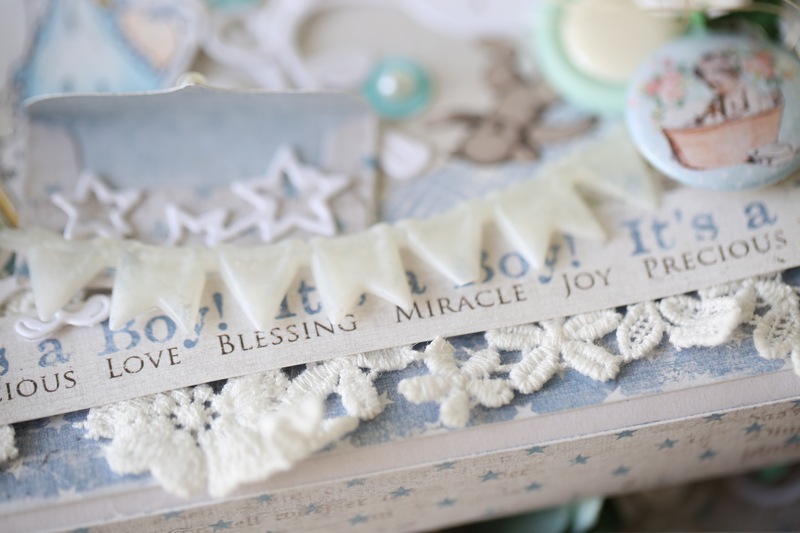 I have the little treasure box that I have created for the girl, I have put the mini album inside of it (will show you in the next post), but you can also keep some little items of your little one in there (the first dummy, the little memorabilia from the birth hospital, the first bodysuit, tiny socks- all these will fit in it, if you wish). Lets have a closer look? lots of closer ups. 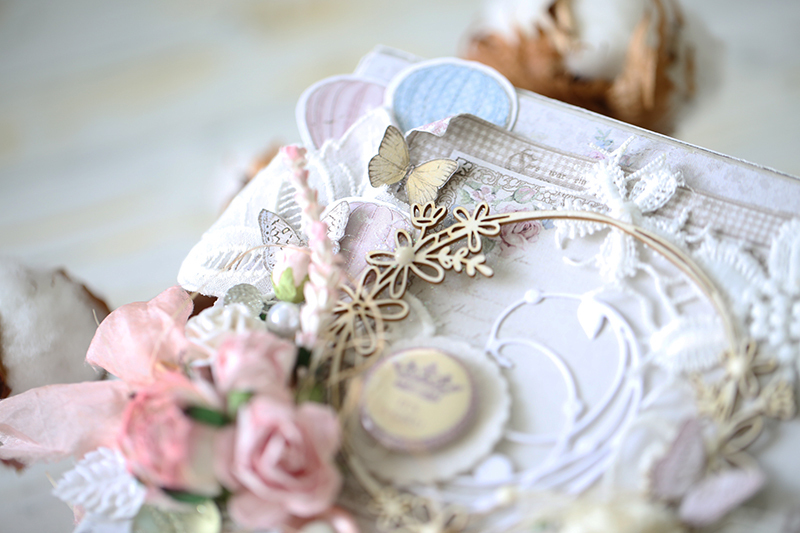 After covering the box with Maja Design papers, I have used some chipboard, die cuts, lots of flowers, pearl, some lace and lovely ribbon. In the middle of the buttons I glued the enamel dots and these embellishments remind me of the sweet candies. Have a lovely weekend, ladies! Hope you will find some scrapping time for yourself. 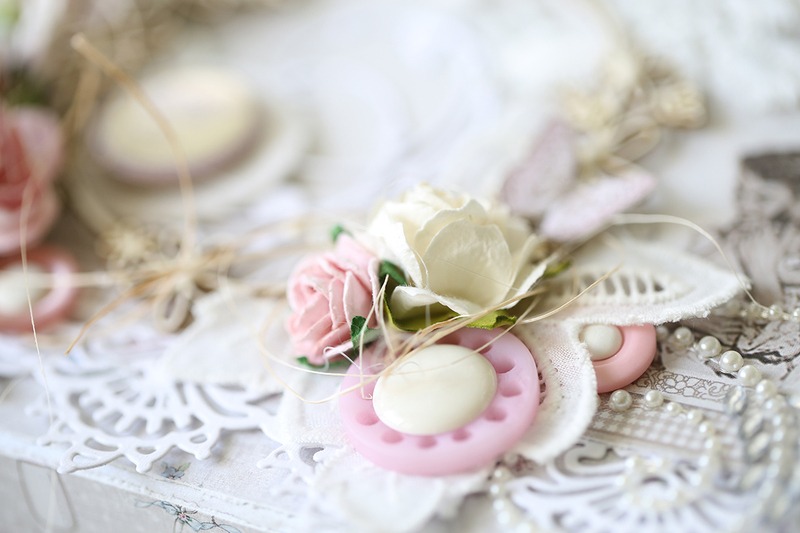 My name is Evgenia Petzer and being a mom to 2 boys I am still obsessed with all girly stuff and am In love with the shabby style and everything that is close to it. I love creating cards, albums and altered items. I am so proud and blessed to be Maja Girl. 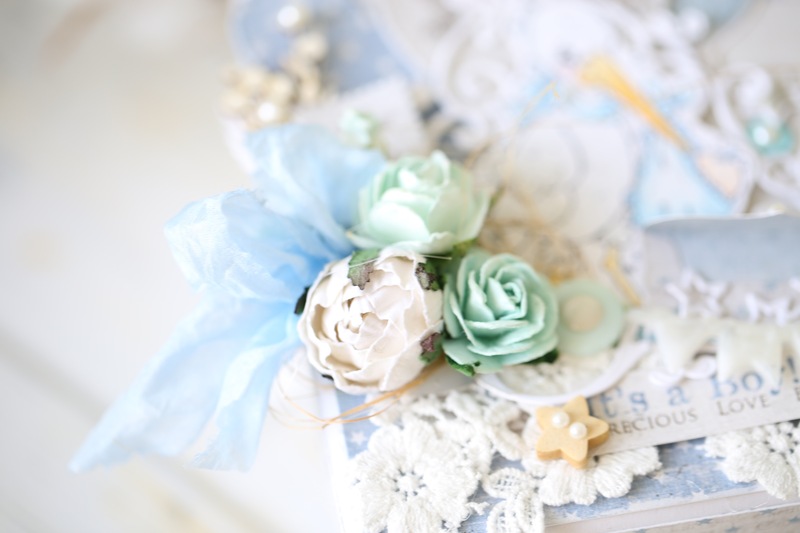 Its just a perfect size and can be used for the baby album itself or for the little things of your cutie. lots of die cuts, lace and other little embellishments here and there. The balloons that I cut from the maja paper I place on the white yardstick and they become quite firm. 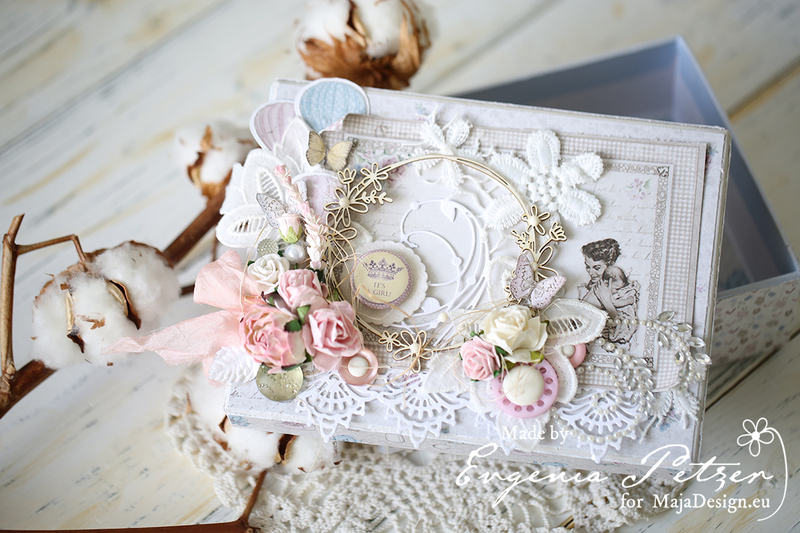 lovely flowers are from Wild Orchid Crafts, the dies are from Magnolia.